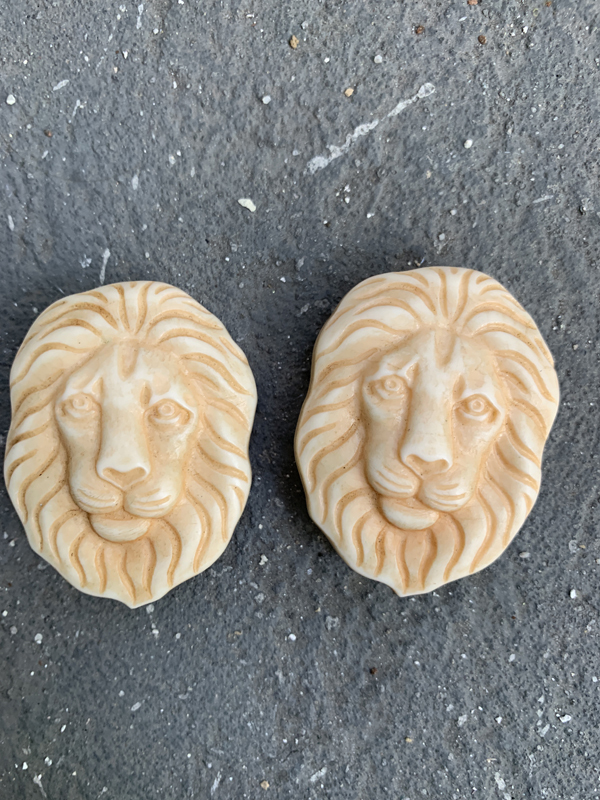 Favorite Vintage earrings, representing craved lions in “faux marble” or imitating a stone. I love love love them. Such a statement piece and a treasure! – Clip-on, they fit very secure.